Considering that one of the straplines of this blog is tattoos (that’s what the “tatt” in my blog name means) I haven’t really posted much about them recently. But I love this story of a pop up tattoo parlour, specifically aimed at over 70s, who are giving older people that real tattoo experience, without the lifelong commitment. Apparently, getting a tattoo is number 7 on the bucket lists of people over 70 so older ladies and gents queued up for the (albeit temporary) tattoo in London at an event launched by rapper Professor Green and his Nan. 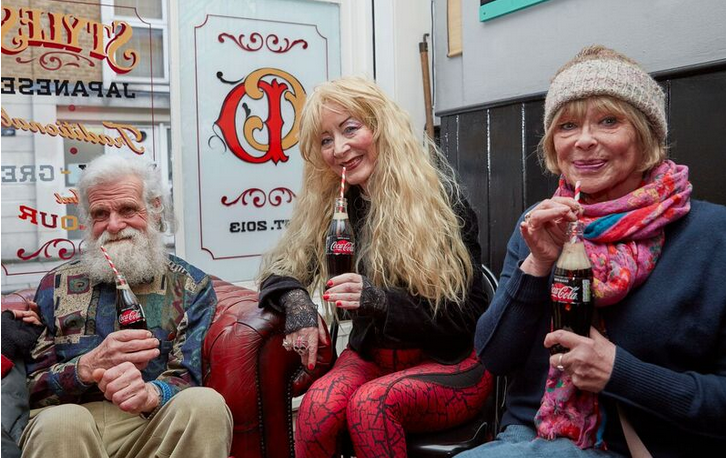 Not so sweet is that it’s all a big marketing ploy by Coca-Cola to promote their Zero Sugar drink, but it’s still pretty cool to see Nans and Grandads pushing their boundaries!